So. I have these relatives, let’s call them Plain & Peanut. Plain and Peanut are determined to crush Grammy Boo’s and my party-planning, gift-giving hearts. Plain and Peanut got married half a world away and never had a reception, they never had a bridal shower, and now they are expecting a Mini. They denied us a baby shower and NOW they will not even register for baby gifts. Plain and Peanut have clearly not thought this through. There is a world of amazing baby gear one can purchase given no parameters. 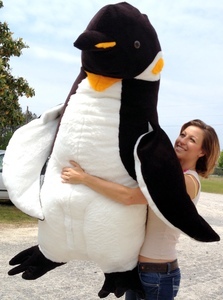 My first thought was Enormous Stuffed Animal of the Month Club. This club doesn’t actually exist, but one can easily purchase enough crazy large plush toys to keep it going for quite a while. 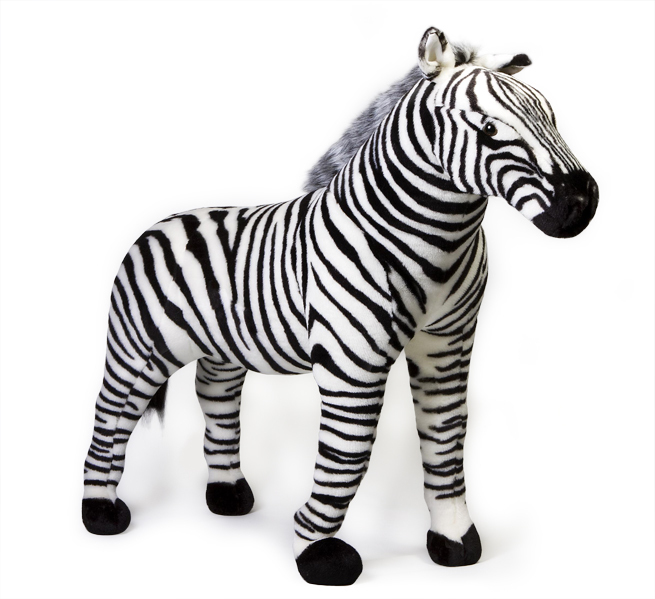 What newborn would not love a 3 foot tall zebra? Not big enough you say? 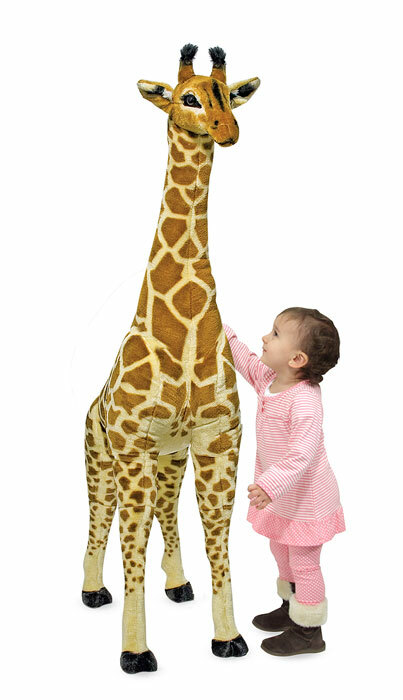 How about a 5 foot tall giraffe? Not a fan of African fauna? No problem! This zoo, amazing as it would be, would be prohibitively expensive – and not very practical. I would love to give a baby gift that has both meaning and utility. Enter The Daddle. Sure, an infant won’t get much use out of it, but imagine the hours of laughter Peanut can have with Mini once he or she has grown to fun size! Or maybe, I should look for something more appropriate to be used right away. I really love doing Lulu’s hair (have you seen #lulusdo over on IG? ), but she was nearly bald when she was a tiny squish. If only there was some way I could have started coiffing her right away! Baby Bangs are a BARGAIN at $30. That’s really more of a girl thing. Perhaps I need something gender neutral – or something to make Plain’s life as a new mom easier! Going to the bathroom by yourself is a huge challenge – especially in public bathrooms with baby trying to touch everything. Actually, forget limiting that to public bathrooms – need a shower? 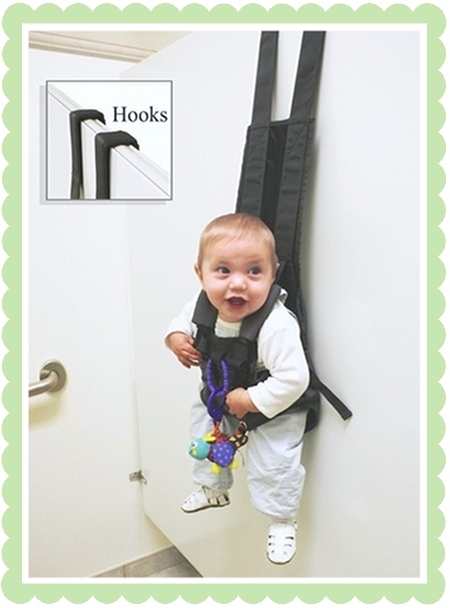 Forget a fancy shmancy swing or bouncer seat to keep the baby occupied and entertained – just hang him over the bathroom door! New parents also need sleep, which, unfortunately, most newborns are not terrific at. What if there was some way of soothing the baby and getting a good night’s rest at the same time? How about these handy (<– see what I did there?) pillows? ALL of these – and more! – are *actual* products that I could purchase and send your way. OR you could take a zappy gun to Babies R Us and pick out some cute receiving blankets and a swing and call it a day. Your call. « All the Baby Mamas! 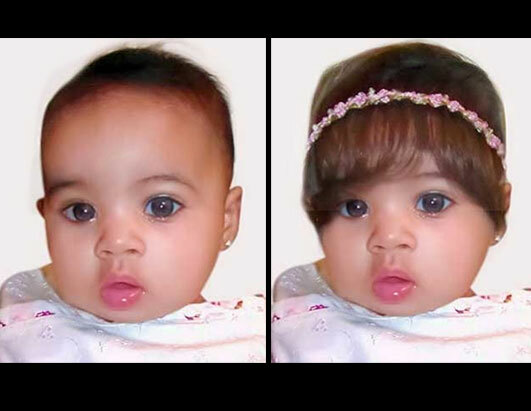 I want baby bangs!! Cute post! Congrats on the future family member!